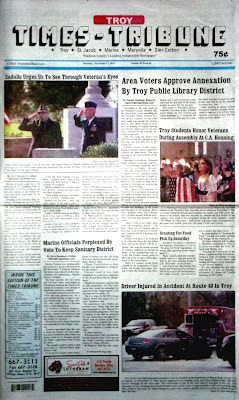 The November 13, 2014 issue of the Troy Times-Tribune is now available. 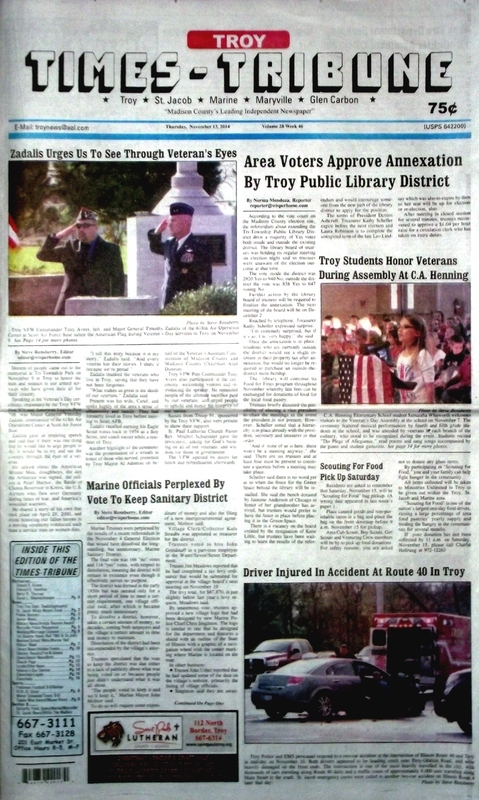 Some of the stories in this issue: Area Voters Approve Library Annexation, Major General Timothy Zadalis Urges People to See Country Through Veteran's Eyes, Marine Officials Perplexed By Vote Over Sanitary District, Troy Fire Department Seeking Applicants, St. Jacob Water Meters Pay Off, Maryville Police Recognized for Safety Training of all Officers, Triad H.S. 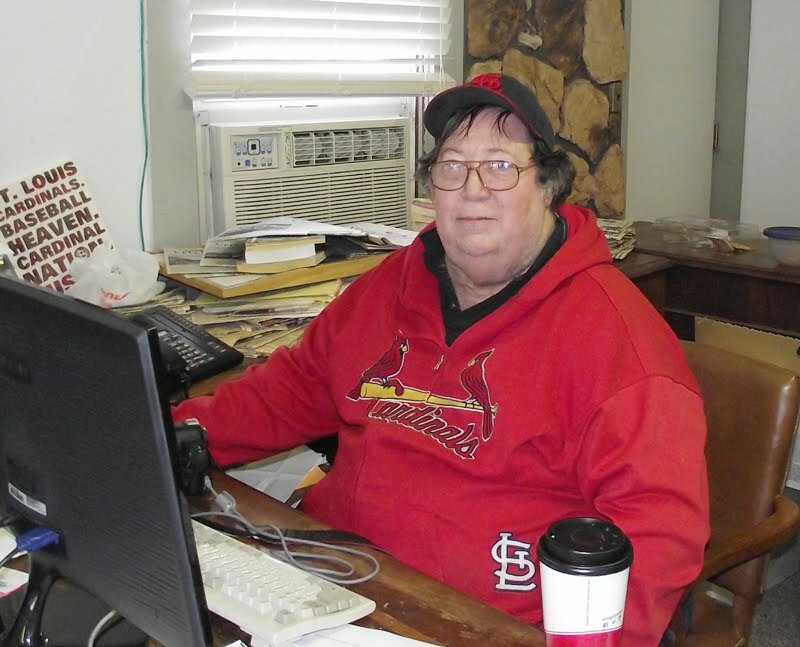 Winter Sports Schedule, General Election Results, New Fire-N-Smoke Restaurant Opens in Troy, Chef Gutzler's Butterly Patio is Open for Business; plus we have a column about the abominable turn signal, police blotters, and lots more. We have obituaries for Donald E. Grieve, Edward D. Hamilton, Sarah L. Obernuefemann, and Betty R. Thurnau.